As mentioned earlier, it now has a fully automatic top. Something the Mustang doesn't offer. It looks really slick. But visibility looks to be even worse than the current model. Visability? Really? It's a CONVERTIBLE. And there are rumors that one day in the not-too-distant future something called a "rear view camera" will be invented. Maybe side-view cameras too! Maybe even "blind-spot-warning" systems--all of which make the size of rear and quarter windows IRRELEVANT! (Of course with the top down--which is all the time it's not raining--they were always irrelevant anyway (on convertibles). Enough of this "Consumer Reports" type criticism already! 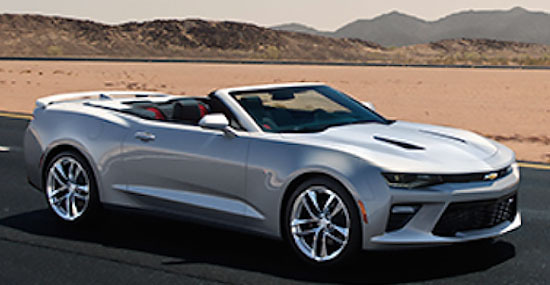 A Camaro Convertible will only sell to "car people" anyway! 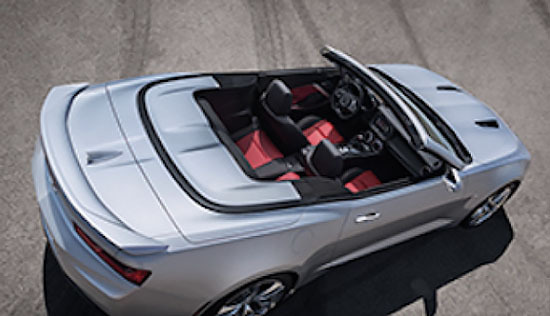 You really think there are folks out there trying to choose between a Camaro Convertible and a Hybrid Camry?--NOT!